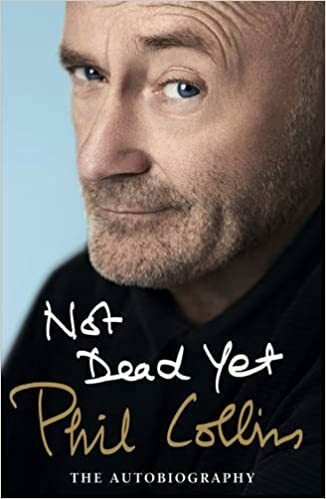 Candice: I have just finished reading Phil Collins’ autobiography. I actually bought it for the other half for Christmas but had finished my previous book and was looking for something else to dive in to. It was collecting dust on his bed side table so I took the opportunity to steal it. Well I’m glad it did. I like bios – either self written or by someone else, though the autobiographies are always better as they are closer to the truth. I like to know how celebrities ended up where they are as its often a strange collection of happy accidents as much as their planning to get famous. Phil’s is a bit of both. He was determined not to follow his father into insurance, a family tradition, but also had a wandering streak so when presented with a drum kit at an early age decided he wanted to do something really different from an office job. It did help that his mother got involved with a talent agency and he ended up performing in ‘Oliver’ at an early age, whetting his acting chops. But music was his real thing and by his mid teens he was a jobbing drummer looking for a band. Though contacts and coincidence he ended up auditioning for ‘Genesis’ an up and coming band with an already tight knit group of players. Phil passed the audition but struggled to fit in. There is a lot of talking in the book about his relationship with Peter Gabriel, the original lead singer in Genesis. The rumour mill insists he was pushed out by Phil, Phil says it was all for Peter’s personal reasons and he was reluctantly made the new front man when no one else stepped up to the plate. Reading the rest of the book you find out what a driven man he is so I think this is six of one and half and dozen of the other. Phil’s Genesis explored a different musical route so I also think this would have been an influence. The rest of the story takes me to the time of Genesis that I remember, and also Phil’s solo career. He is one of the few people to have run concurrent careers, which meant a punishing schedule of touring and writing for both projects. It made him a rich successful man, but also lost him three marriages in the process. And then he decides to retire, and falls of a cliff. With no focus for each day, alcohol takes over and he quickly becomes an alcoholic. The stubborn person he is it takes a few goes at rehab and arguments with family and friends before he realises it was give up the alcohol or life. Hence why the book is called ‘Not dead yet’! I really enjoyed it, especially when it was at his peak as each record mentioned brought back memories of different part of my youth. I can remember playing ‘No Jacket Required’ a lot, especially round at my friend Kathryn’s house for some reason. I will be going out and buying the ‘best of’ album. However, Phil is an interesting character. He is focused and ruthless, there is no other way for him to have got where he was. The book is quite open and I don’t think he would realise how some of the things he says or did would make some of us wince. The music always came first, and pity his children, wives or even sleep if they got in the way. I think his brush with death made him realise that there is more to life than this, but only just. Phil: This week’s blog post was set to be something whimsical and lightweight. Then I sat in my hotel room on Saturday night after a couple of bottles of pomegranate and strawberry cider washing down a rather nice curry, and flipped on the telly. Terry Pratchett – Back in Black tells the author’s life story. Paul Kaye plays pTerry (as his fans call him) and along the way we meet both famous and non-famous readers. We see how the literary establishment hated his books complete with a cringeworthy clip from a review show that those taking part will probably wish to forget, and later decided he was A. Good. Thing. Along with another clip of more literary people saying this. I’ve tried but failed to read Pratchett. I ought to love it but I can’t find a way in. It doesn’t matter, the documentary is brilliant, affecting and a superb celebration of the man. What struck me was that before he wrote, he read. Everything. Well, everything in his local library starting with fantasy and then history, “Blokes in helmets bashing each other” as he described it. Reading planted all the seeds for the character in his stories. This week, I read in my local paper that our council is making more cuts. Headlines are those for old people or children but tucked away are libraries – again. I’ve said before how my local library was essential for my development. I’m not going to compare myself with Pratchett but to lift a line from the documentary, I’m a human. He is a human. My poo stinks. His poo stinks. I loved my library. He loved his library. He is a writer. I want to be a writer. Does it matter if we deny kids the chance to wallow in reading? Probably not. After all, do we need people with imagination? Thought for day with the Rev Richard Coles: Cake is good. Phil: Is there anything more middle class than going to Stratford-upon-Avon literary festival’s autumn season, to see a nice vicar because he’s entertaining on Saturday morning Radio 4? That’s me. I ought to buy my clothes from the Boden catalogue (whatever that is). Rev Richard Coles is an interesting character. He first appeared on telly as part of 80s band, The Comunards. After stepping off the waterskis of fame (his description) there were titanic amount of drugs followed by finding a life within the Catholic church, conversion to the Church of England. 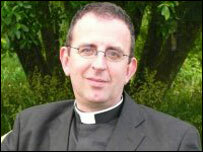 He is now a parish priest in the diasis of Peterborough as well as Radio 4 regular. He arrived on stage with his interviewer and a cake an audience member had baked for him. Cutting a slice, he munched through it during the enjoyable hours chat. Reading up a little before the evening, I discover that life in the Communards was not always each. Jimmy Somerville was a natural at being famous and far more charismatic than his bespecled bandmate. Fans would flock to him, sometimes not even waiting for a completed autograph from the keyboard player. When you are the sort of person who has always tried to “nudge your way into the spotlight”, even while looking like a vicar trying to emerge from a pop star, this has got to be hard. Is this the future for team Nolan Parker? Will the audiences only have time for one of us? And will it be the glamorous one, or the speccy bloke with the charisma of a tea towel? Well apparently the pay is good and I’m sure taking the cloth isn’t necessary. I’m sure I’ll manage. At least when you go to a literary festival, people bring you cake, and as Rev Coles says, it is good! Phil: We came, we drank cocktails and we told our story in front of a crowd. Yesterday evening at Books Showoff was great fun. In the bunker underneath Tottenham Court Road Waterstones, we were the last act on stage (we’ll be calling that the Headline Act as it makes us seem more important) and wowed the audience. There was much booing and hissing at pictures of Michael Gove. We went off piste from the planned words to accompany the slides a bit, but it didn’t matter. Someone suddenly found she really owned the microphone when she got hold of it, something to do with the fancy shoes bought for the occasion I suspect. Great fun. Sadly we had to run for the tube straight afterwards but if you saw us and enjoyed our stuff then please buy a copy of da book. Link on the left or drop me an e-mail and for £7.99, I’ll send you a signed copy. Thanks to Steve X for putting this on. Keep an eye on the web page if you are within striking distance of London. A fiver well spent for a great fun evening. Nearly ready for Books Showoff tonight! Phil: Last Friday was the final meeting ahead of our appearance tonight at Books Showoff tonight. Sitting down in an artisan bakery, Candice started to tell me about potty training, so I quickly changed the subject to the slides prepared for the evening entertainment. As anyone who has friends with small children knows, the obsess about the topic and there are some things that can put you right off your hot chocolate. All words have been expunged from the slides. It was just left to sort out what we are going to say. The audience needs entertaining, not just a selection of pictures to look at. Doing a two-hander talk is a bit of a challenge. We don’t want to talk over each other, but there must be banter. That’s easy when you are sitting opposite each other and stuffing some delicious sandwiches and cake in your gob. I’ll shut up when I’m eating for a start, but you can’t rely on that on stage. So, we have a sort of script. Not a strict one as that would be rubbish, but an idea what we’ll be filling our alloted 9 minutes with. Now, if you excuse me, I need to write a rant to accompany a certain photo. Come along to see if I manage it. Phil: After our trip to the Writing West Midlands networking event last weekend, perhaps I might offer a helpful guide to others heading to this sort of event or literary festivals. As the introverted half of the team, I’ve studied the subject closely. Short version: Go and talk to the authors. They are lovely people and if you are genuinely interested in how to write, they will be happy to explain. Long version: After the short talks and Q&A sessions last weekend, I was struck by the actions of the 25 or so people in the audience. Team NolanParker headed towards authors Kate Long and Liam Brown like a pair of networking seeking missiles. We chatted with Liam for a while and then Kate and Liam and then Kate while someone else collared Liam. We also chatted to Prof. Rod Griffiths from Black Pear Press. The topics of conversation we generally about the non-writing stuff authors have to consider – marketing and promotion for example or the idea of a book as a product and not just a wonderful collection of words. There was time to follow up some of the points made in the talks too. I’m fascinated by the timelines Kate draws and Liam dropped in the best piece of writing advice I’ve ever heard – which, if it works, I’ll blog in a week or two. Everyone expressed interest in what we were doing and a thoroughly good time was had. Book people are generally really nice people. I bought one of Kate’s books and would have bought Liam’s if I hadn’t run out of cash, but fortunately there is still Amazon for that. We were so engrossed that the free tea and biscuits were ignored. Good job there was cake afterwards! So what of the rest of those present? Well, for the most part they either left quickly at the end or chatted to each other. A few bought books but didn’t talk even when encouraged. Several of the people had obviously come as groups and at one point I looked back and those left were huddled in the seating. Hardly anyone joined us. Surely this misses the point? You can network with people you know any time. Here we had authors who had taken the time and trouble to come and help us aspiring writers follow in their footsteps. I see this at literary festivals a lot. Most of the audience only wants to sit politely and listen then buy a signed copy of a book. That’s fine – except when it’s a session for people who want to write a book. There’s lots of routes to publishing and I want to find out about all of them. Hopefully that way we’ll find the one that works for us. Chatting to people at events can be daunting but the panel expect to be talked to and will be disappointed if they aren’t. Go for it, you never know what you will learn. Everyone likes to scoff at Joey Essex (and we’re really no exception) but there’s no denying that he tries his very best to treat every experience as a learning opportunity. For example, when he was in the pitch meeting for his book at Hodder and Stoughton, he decided to ask the literary experts around him a question that had been bugging him for ages.